Food plays such an important role in our lives; to some it is love, family and culture. The food we eat can also provide us good health, of course, but that depends on the type of food one consumes. Healthy food is not always readily available to many people. Cooking Matters, an evidence-based class, educates people on healthy eating and how to live a healthy nutritious lifestyle. WellShare recently hosted the class in partnership with the University of Minnesota Extension and Smiley’s Family Clinic in south Minneapolis. One sunny Tuesday afternoon recently, I headed to Smiley’s Family Clinic to join the Cooking Matters class. Saida, a WellShare community health worker, introduced me, and I sat down with the participants as we waited for the class to begin. Soon enough, chatter filled the room and everyone started talking about their day and what they learned last class session. The students discussed the kinds of foods at the farmers market and budget-friendly shopping for healthy foods. Many of the participants talked about the difficulty of budgeting for groceries. However, many of their concerns about saving money on groceries were answered as they learned about coupons that are located in the store or in one’s mailbox. After the lesson, the room began buzzing with excitement as we moved to the front door to start the walk to the farmers market. Some of the participants were a bit nervous since they had a hard time walking a long distance. I walked alongside them to make sure we took frequent breaks. On the way, we discussed what the participants learned in past Cooking Matters sessions and heard about their stories of life in Somalia. 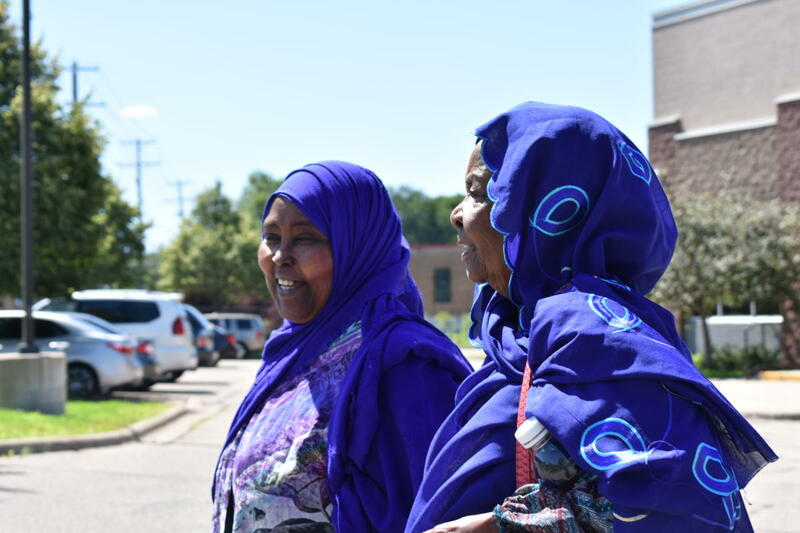 One of the women told me how the farmers market made her think of home back in Somalia, and many shared similar sentiments as we walked in the cool breeze. Conversing with the class helped me familiarize myself with them and build cultural trust. As a Somali, it was very easy to communicate with the women, and speaking in my native tongue allowed me to build a bond with the small class. Their stories of the Somalia they missed reminded me of my time in Kenya walking with my family. At the farmers market, the participants walked around talking with the vendors and choosing vegetables and fruits they liked. Each person was assigned a few tasks to complete. One of the tasks included picking one new item to try. One woman asked me to help her find mint as she was encouraged by one of the other participants to try it. Going to the farmers market with the class was very rewarding. I was glad to see many of the participants ask the vendors questions and work together to get great deals. When the right resources are given to a community, they are able to be healthy and strong. The afternoon was more than just a trip to the farmers market; it was a lesson in healthy living and building a strong community. This work is supported by Greater Twin Cities United Way (GTCUW).